Vitamin D from the diet or dermal synthesis from sunlight is biologically inactive; activation requires enzymatic conversion (hydroxylation) in the liver and kidney. Evidence indicates the synthesis of vitamin D from sun exposure is regulated by a negative feedback loop that prevents toxicity, but because of uncertainty about the cancer risk from sunlight, no recommendations are issued by the Institute of Medicine (US) for the amount of sun exposure required to reach vitamin D requirements. Accordingly, the Dietary Reference Intake for vitamin D assumes no synthesis occurs and all of a person's vitamin D is from food intake. As vitamin D is synthesized in adequate amounts by most mammals exposed to sunlight, it is not strictly a vitamin, and may be considered a hormone as its synthesis and activity occur in different locations. [misleading] Vitamin D has a significant role in calcium homeostasis and metabolism. Its discovery was due to effort to find the dietary substance lacking in rickets (the childhood form of osteomalacia). Beyond its use to prevent osteomalacia or rickets, the evidence for other health effects of vitamin D supplementation in the general population is inconsistent. The effect of vitamin D supplementation on mortality is not clear, with one meta-analysis finding a decrease in mortality in elderly people,and another concluding no clear justification exists for recommending vitamin D.
In the liver, cholecalciferol (vitamin D3) is converted to calcifediol. Ergocalciferol (vitamin D2) is converted in the liver to 25-hydroxyergocalciferol (a.k.a. 25-hydroxyvitamin D2 — abbreviated 25(OH)D2). These two specific vitamin D metabolites are measured in serum to determine a person's vitamin D status. Part of the calcifediol is converted by the kidneys to calcitriol, the biologically active form of vitamin D. Calcitriol circulates as a hormone in the blood, regulating the concentration of calcium and phosphate in the bloodstream and promoting the healthy growth and remodeling of bone. Calcitriol also affects neuromuscular and immune function. A diet deficient in vitamin D in conjunction with inadequate sun exposure causes osteomalacia (or rickets when it occurs in children), which is a softening of the bones. In the developed world, this is a rare disease. However, vitamin D deficiency has become a worldwide problem in the elderly and remains common in children and adults.Low blood calcifediol (25-hydroxy-vitamin D) can result from avoiding the sun. Deficiency results in impaired bone mineralization and bone damage which leads to bone-softening diseases, including rickets and osteomalacia. Rickets, a childhood disease, is characterized by impeded growth and soft, weak, deformed long bones that bend and bow under their weight as children start to walk. This condition is characterized by bow legs, which can be caused by calcium or phosphorus deficiency, as well as a lack of vitamin D; today, it is largely found in low-income countries in Africa, Asia, or the Middle East and in those with genetic disorders such as pseudovitamin D deficiency rickets. Maternal vitamin D deficiency may cause overt bone disease from before birth and impairment of bone quality after birth. Nutritional rickets exists in countries with intense year-round sunlight such as Nigeria and can occur without vitamin D deficiency. Although rickets and osteomalacia are now rare in Britain, outbreaks have happened in some immigrant communities in which osteomalacia sufferers included women with seemingly adequate daylight outdoor exposure wearing Western clothing. Having darker skin and reduced exposure to sunshine did not produce rickets unless the diet deviated from a Western omnivore pattern characterized by high intakes of meat, fish, and eggs, and low intakes of high-extraction cereals. The dietary risk factors for rickets include abstaining from animal foods. Vitamin D deficiency remains the main cause of rickets among young infants in most countries, because breast milk is low in vitamin D and social customs and climatic conditions can prevent adequate sun exposure. In sunny countries such as Nigeria, South Africa, and Bangladesh, where the disease occurs among older toddlers and children, it has been attributed to low dietary calcium intakes, which are characteristic of cereal-based diets with limited access to dairy products. Rickets was formerly a major public health problem among the US population; in Denver, where ultraviolet rays are about 20% stronger than at sea level on the same latitude, almost two-thirds of 500 children had mild rickets in the late 1920s. An increase in the proportion of animal protein in the 20th century American diet coupled with increased consumption of milk fortified with relatively small quantities of vitamin D coincided with a dramatic decline in the number of rickets cases. Also, in the United States and Canada, vitamin D-fortified milk, infant vitamin supplements, and vitamin supplements have helped to eradicate the majority of cases of rickets for children with fat malabsorption conditions. Osteomalacia is a disease in adults that results from vitamin D deficiency. Characteristics of this disease are softening of the bones, leading to bending of the spine, bowing of the legs, proximal muscle weakness, bone fragility, and increased risk for fractures. Osteomalacia reduces calcium absorption and increases calcium loss from bone, which increases the risk for bone fractures. Osteomalacia is usually present when 25-hydroxyvitamin D levels are less than about 10 ng/mL. Although the effects of osteomalacia are thought to contribute to chronic musculoskeletal pain, there is no persuasive evidence of lower vitamin D levels in chronic pain sufferers or that supplementation alleviates chronic nonspecific musculoskeletal pain. A systematic review of 2014 concluded that the available studies show no evidence of vitamin D3 supplementation having an effect on glucose homeostasis or diabetes prevention. A review article of 2016 reported that while there is increasing evidence that Vitamin D deficiency may be a risk factor for diabetes, over-all evidence regarding vitamin D levels and diabetes mellitus is contradictory, requiring further studies. For more details on this topic, see hypervitaminosis D.
Vitamin D toxicity is rare. It is caused by supplementing with high doses of vitamin D rather than sunlight. The threshold for vitamin D toxicity has not been established; however, according to some research, the tolerable upper intake level (UL) is 4,000 IU/day for ages 9–71 (100 µg/day), while other research concludes that, in healthy adults, sustained intake of more than 1250 μg/day (50,000 IU) can produce overt toxicity after several months and can increase serum 25-hydroxyvitamin D levels to 150 ng/ml and greater. 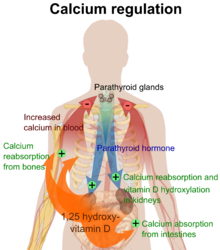 Those with certain medical conditions, such as primary hyperparathyroidism, are far more sensitive to vitamin D and develop hypercalcemia in response to any increase in vitamin D nutrition, while maternal hypercalcemia during pregnancy may increase fetal sensitivity to effects of vitamin D and lead to a syndrome of mental retardation and facial deformities. A review published in 2015 noted that adverse effects have been reported only at 25(OH)D serum concentrations above 200 nmol/L. Published cases of toxicity involving hypercalcemia in which the vitamin D dose and the 25-hydroxy-vitamin D levels are known all involve an intake of ≥40,000 IU (1,000 μg) per day. Pregnant or breastfeeding women should consult a doctor before taking a vitamin D supplement. The FDA advised manufacturers of liquid vitamin D supplements that droppers accompanying these products should be clearly and accurately marked for 400 international units (IU). In addition, for products intended for infants, the FDA recommends the dropper hold no more than 400 IU. For infants (birth to 12 months), the tolerable upper limit (maximum amount that can be tolerated without harm) is set at 25 μg/day (1,000 IU). One thousand micrograms per day in infants has produced toxicity within one month. After being commissioned by the Canadian and American governments, the Institute of Medicine (IOM) as of 30 November 2010, has increased the tolerable upper limit (UL) to 2,500 IU per day for ages 1–3 years, 3,000 IU per day for ages 4–8 years and 4,000 IU per day for ages 9–71+ years (including pregnant or lactating women). Furthermore, proteinuria, urinary casts, azotemia, and metastatic calcification (especially in the kidneys) may develop. Other symptoms of vitamin D toxicity include mental retardation in young children, abnormal bone growth and formation, diarrhea, irritability, weight loss, and severe depression. Vitamin D toxicity is treated by discontinuing vitamin D supplementation and restricting calcium intake. Kidney damage may be irreversible. Exposure to sunlight for extended periods of time does not normally cause vitamin D toxicity. The concentrations of vitamin D precursors produced in the skin reach an equilibrium, and any further vitamin D produced is degraded. Recommendations on recommended 25(OH)D serum levels vary across authorities, and probably vary based on factors like age. A 2014 review concluded that the most advantageous serum levels for 25(OH)D appeared to be close to 75 nmol/l. A 2015 review reported that regarding optimal levels, a review of 2004 had recommended that at least 70 nmol/L should be maintained in order to avoid negative health effects, that desirable 25(OH)D levels between 90-120 nmol/l have been reported by another review, but that optimal vitamin D levels are still controversial. The review concluded that ranges from 75 to 100 nmol/L were to be recommended for athletes. Part of the controversy stems from that that numerous studies have found differences in serum levels of 25(OH)D between ethnic groups and studies point to genetical as well as environmental to be the reasons behind these variations.Supplementation to achieve these standard levels could cause harmful vascular calcification. US labs generally report 25(OH)D levels as ng/ml. Other countries often use nmol/l; ng x 2.5 = nmol, conversely, nmol/2.5 = ng. In 2011 an IOM committee concluded a serum 25-hydroxyvitamin D level of 20 ng/ml (50 nmol/l) is desirable for bone and overall health. The dietary reference intakes for vitamin D are chosen with a margin of safety and 'overshoot' the targeted serum value to ensure the specified levels of intake achieve the desired serum 25-hydroxyvitamin D levels in almost all persons. No contributions to serum 25-hydroxyvitamin D level are assumed from sun exposure and the recommendations are fully applicable to people with dark skin or negligible exposure to sunlight. The risk of cardiovascular disease is lower when vitamin D ranged from 8 to 24 ng/ml (20 to 60 nmol/l). A "threshold effect" appears to occur once a level of 24 ng/ml (60 nmol/l) has been reached i.e., levels of vitamin D over 24 ng/ml (60 nmol/l) did not show added benefit. A United States Institute of Medicine report states: "Outcomes related to cancer, cardiovascular disease and hypertension, and diabetes and metabolic syndrome, falls and physical performance, immune functioning and autoimmune disorders, infections, neuropsychological functioning, and preeclampsia could not be linked reliably with calcium or vitamin D intake and were often conflicting. ":5 Some researchers claim the IOM was too definitive in its recommendations and made a mathematical mistake when calculating the blood level of vitamin D associated with bone health. Members of the IOM panel maintain that they used a "standard procedure for dietary recommendations" and that the report is solidly based on the data. Research on vitamin D supplements, including large-scale clinical trials, is continuing. Vitamin D supplements do not alter the outcomes for myocardial infarction, stroke or cerebrovascular disease, cancer or bone fractures. For older people with osteoporosis, taking vitamin D with calcium may help prevent hip fractures, but it also slightly increases the risk of stomach and kidney problems. Supplementation with higher doses of vitamin D, in those older than 65 years, may decrease fracture risk. The effect may be smaller for people living independently than for people in institutions. Vitamin D deficiency causes osteomalacia (called rickets when it occurs in children). Use of vitamin D in children with normal vitamin D levels does not appear to improve bone density. Beyond that, low serum vitamin D levels have been associated with falls, and low bone mineral density. Taking extra vitamin D, however, does not appear to change the risk. Because it found mounting evidence for a benefit to bone health, though it had not found good evidence of other benefits, the Food and Drug Administration of the United States has proposed requiring manufacturers to declare the amount of vitamin D on nutrition facts labels, as "nutrients of public health significance". As of August 2015, this is currently still open for public comment. Athletes who are vitamin D deficient are at an increased risk of stress fractures and/or major breaks, particularly those engaging in contact sports. The greatest benefit with supplementation is seen in athletes who are deficient (25(OH)D serum levels <30 ng/ml), or severely deficient (25(OH)D serum levels <25 ng/ml). Incremental decreases in risks are observed with rising serum 25(OH)D concentrations plateauing at 50 ng/ml with no additional benefits seen in levels beyond this point. Vitamin D supplements have been widely marketed for their claimed anticancer properties. Associations have been shown in observational studies between low vitamin D levels and the risk of development of certain cancers including colon cancer. It is unclear, however, if taking additional vitamin D in the diet or as supplements affects the risk of cancer. Reviews have described the evidence as being "inconsistent, inconclusive as to causality, and insufficient to inform nutritional requirements" and "not sufficiently robust to draw conclusions". One 2014 review found that supplements had no significant effect on cancer risk. Another 2014 review concluded that vitamin D3 may decrease the risk of death from cancer (one fewer death in 150 people treated over 5 years), but concerns with the quality of the data were noted. Insufficient evidence exists to recommend vitamin D supplements for people with cancer, although some evidence suggests that low vitamin D may be associated with a worse outcome for some cancers, and that higher 25-hydroxy vitamin D levels at the time of diagnosis are associated with better outcomes. Taking vitamin D supplements does not meaningfully reduce the risk of stroke, cerebrovascular disease, cardial infarction, or ischaemic heart disease. Supplementation has no effect on blood pressure. A systematic review of clinical studies shows an association between low vitamin D levels, cognitive impairment, and a higher risk of developing Alzheimer's disease. However, lower vitamin D concentrations is also associated with poor nutrition and spending less time outdoors. Therefore, alternative explanations for the increase in cognitive impairment exist and hence a direct causal relationship between vitamin D levels and cognition could not be established. Supplementation slightly decreases the risk of respiratory tract infections. Evidence is lacking on whether it does so in children under five years of age. No clinical trials have been done to assess its effect on preventing other infections, such as malaria. Although tentative data link low levels of vitamin D to asthma, evidence to support a beneficial effect from supplementation is inconclusive. Accordingly, supplementation is not currently recommended for treatment or prevention of asthma. Vitamin D and multiple sclerosis incidence have been linked, but it is not clear what the nature of any causal relationship might be. There is no evidence that vitamin D supplementation is helpful for treating people with multiple sclerosis. Low levels of vitamin D are associated with Crohn's disease and ulcerative colitis. Further studies are required to determine its significance. Low levels of vitamin D in pregnancy are associated with gestational diabetes, pre-eclampsia, and small infants. Although taking vitamin D supplements during pregnancy raises blood levels of vitamin D in the mother at term, the extent of benefits for the mother or fetus is unclear. Pregnant women who take an adequate amount of vitamin D during gestation may experience a lower risk of pre-eclampsia and positive immune effects. Pregnant women often do not take the recommended amount of vitamin D.
Though hypothesized that vitamin D supplementation may be an effective treatment for obesity apart from calorie restriction, one systematic review found no association of supplementation with body weight or fat mass. A 2016 meta-analysis found that circulating vitamin D status was improved by weight loss, indicating that fat mass may be inversely associated with blood levels of vitamin D.
Vitamin D is carried in the bloodstream to the liver, where it is converted into the prohormone calcifediol. Circulating calcifediol may then be converted into calcitriol, the biologically active form of vitamin D, in the kidneys. Following the final converting step in the kidney, calcitriol is released into the circulation. By binding to vitamin D-binding protein, a carrier protein in the plasma, calcitriol is transported to various target organs. In addition to the kidneys, calcitriol is also synthesized by monocyte-macrophages in the immune system. When synthesized by monocyte-macrophages, calcitriol acts locally as a cytokine, defending the body against microbial invaders by stimulating the innate immune system. Whether it is made in the skin or ingested, cholecalciferol is hydroxylated in the liver at position 25 (upper right of the molecule) to form 25-hydroxycholecalciferol (calcifediol or 25(OH)D). This reaction is catalyzed by the microsomal enzyme vitamin D 25-hydroxylase, which is produced by hepatocytes. Once made, the product is released into the plasma, where it is bound to an α-globulin, vitamin D-binding protein. Calcifediol is transported to the proximal tubules of the kidneys, where it is hydroxylated at the 1-α position (lower right of the molecule) to form calcitriol (1,25-dihydroxycholecalciferol and abbreviated to 1,25(OH)2D). This product is a potent ligand of the vitamin D receptor, which mediates most of the physiological actions of the vitamin. The conversion of calcifediol to calcitriol is catalyzed by the enzyme 25-hydroxyvitamin D3 1-alpha-hydroxylase, the levels of which are increased by parathyroid hormone (and additionally by low calcium or phosphate). In the presence of UV radiation, many animals synthesize vitamin D3 from 7-dehydrocholesterol, and many fungi synthesize vitamin D2 from ergosterol. Vitamin D3 is produced photochemically from 7-dehydrocholesterol in the skin of most vertebrate animals, including humans. The precursor of vitamin D3, 7-dehydrocholesterol is produced in relatively large quantities. 7-Dehydrocholesterol reacts with UVB light at wavelengths between 270 and 300 nm, with peak synthesis occurring between 295 and 297 nm. These wavelengths are present in sunlight, as well as in the light emitted by the UV lamps in tanning beds (which produce ultraviolet primarily in the UVA spectrum, but typically produce 4% to 10% of the total UV emissions as UVB). Exposure to light through windows is insufficient because glass almost completely blocks UVB light. Adequate amounts of vitamin D can be produced with moderate sun exposure to the face, arms and legs, averaging 5–30 minutes twice per week, or approximately 25% of the time for minimal sunburn. The darker the skin, and the weaker the sunlight, the more minutes of exposure are needed. Vitamin D overdose is impossible from UV exposure; the skin reaches an equilibrium where the vitamin degrades as fast as it is created. Sunscreen absorbs or reflects ultraviolet light and prevents much of it from reaching the skin. Sunscreen with a sun protection factor (SPF) of 8 based on the UVB spectrum decreases vitamin D synthetic capacity by 95%, and SPF 15 decreases it by 98%. The active vitamin D metabolite calcitriol mediates its biological effects by binding to the vitamin D receptor (VDR), which is principally located in the nuclei of target cells. The binding of calcitriol to the VDR allows the VDR to act as a transcription factor that modulates the gene expression of transport proteins (such as TRPV6 and calbindin), which are involved in calcium absorption in the intestine. The vitamin D receptor belongs to the nuclear receptor superfamily of steroid/thyroid hormone receptors, and VDRs are expressed by cells in most organs, including the brain, heart, skin, gonads, prostate, and breast. VDR activation in the intestine, bone, kidney, and parathyroid gland cells leads to the maintenance of calcium and phosphorus levels in the blood (with the assistance of parathyroid hormone and calcitonin) and to the maintenance of bone content. 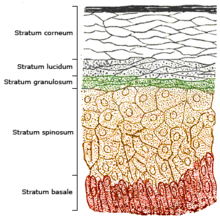 One of the most important roles of vitamin D is to maintain skeletal calcium balance by promoting calcium absorption in the intestines, promoting bone resorption by increasing osteoclast number, maintaining calcium and phosphate levels for bone formation, and allowing proper functioning of parathyroid hormone to maintain serum calcium levels. Vitamin D deficiency can result in lower bone mineral density and an increased risk of reduced bone density (osteoporosis) or bone fracture because a lack of vitamin D alters mineral metabolism in the body. Thus, vitamin D is also critical for bone remodeling through its role as a potent stimulator of bone resorption. The VDR may be involved in cell proliferation and differentiation. Vitamin D also affects the immune system, and VDRs are expressed in several white blood cells, including monocytes and activated T and B cells. In vitro, vitamin D increases expression of the tyrosine hydroxylase gene in adrenalmedullary cells, and affects the synthesis of neurotrophic factors, nitric oxide synthase, and glutathione. Apart from VDR activation, various alternative mechanisms of action are under study, such as inhibition of signal transduction by hedgehog, a hormone involved in morphogenesis. In 1925, it was established that when 7-dehydrocholesterol is irradiated with light, a form of a fat-soluble vitamin is produced (now known as D3). Alfred Fabian Hess stated: "Light equals vitamin D."Adolf Windaus, at the University of Göttingen in Germany, received the Nobel Prize in Chemistry in 1928 for his work on the constitution of sterols and their connection with vitamins. In 1929, a group at NIMR in Hampstead, London, were working on the structure of vitamin D, which was still unknown, as well as the structure of steroids. A meeting took place with J.B.S. Haldane, J.D. Bernal, and Dorothy Crowfoot to discuss possible structures, which contributed to bringing a team together. X-ray crystallography demonstrated the sterol molecules were flat, not as proposed by the German team led by Windaus. In 1932, Otto Rosenheim and Harold King published a paper putting forward structures for sterols and bile acids which found immediate acceptance. The informal academic collaboration between the team members Robert Benedict Bourdillon, Otto Rosenheim, Harold King, and Kenneth Callow was very productive and led to the isolation and characterization of vitamin D. At this time, the policy of the Medical Research Council was not to patent discoveries, believing the results of medical research should be open to everybody. In the 1930s, Windaus clarified further the chemical structure of vitamin D.
In 1923, American biochemist Harry Steenbock at the University of Wisconsin demonstrated that irradiation by ultraviolet light increased the vitamin D content of foods and other organic materials. After irradiating rodent food, Steenbock discovered the rodents were cured of rickets. A vitamin D deficiency is a known cause of rickets. Using $300 of his own money, Steenbock patented his invention. His irradiation technique was used for foodstuffs, most memorably for milk. By the expiration of his patent in 1945, rickets had been all but eliminated in the US. In 1971–72, the further metabolism of vitamin D to active forms was discovered. In the liver, vitamin D was found to be converted to calcifediol. Calcifediol is then converted by the kidneys to calcitriol, the biologically active form of vitamin D. Calcitriol circulates as a hormone in the blood, regulating the concentration of calcium and phosphate in the bloodstream and promoting the healthy growth and remodeling of bone. The vitamin D metabolites, calcifediol and calcitriol, were identified by competing teams led by Michael F. Holick in the laboratory of Hector DeLuca and by Tony Norman and colleagues. Different institutions propose different recommendations concerning daily amounts of the vitamin.The recommended daily intake of vitamin D may not be sufficient if sunlight exposure is limited. The recommended daily amount for vitamin D in the European Union is 5 µg. In 2012, the German Society for Nutrition, a private organisation, increased the recommended daily amount to 20 µg. The European Menopause and Andropause Society recommended a daily dose for postmenopausal women of 15 µg (600 IU) until age 70, and 20 µg (800 IU) from age 71. This dose should be increased to 4,000 IU/day in some patients with very low vitamin D status or in case of comorbid conditions. The UK National Health Service recommends babies and young children aged six months to five years, pregnant or breastfeeding women, and sun-deprived elderly people should take daily vitamin supplements to ensure sufficient vitamin D intake. In July 2016, Public Health England recommended that everyone consider taking a daily supplement containing 10 µg of vitamin D during autumn and winter because of inadequate sunlight for vitamin D synthesis. For U.S. food and dietary supplement labeling purposes the amount in a serving is expressed as a percent of Daily Value (%DV). For vitamin D labeling purposes 100% of the Daily Value was 400 IU (10 μg), but as of May 2016 it has been revised to 800 IU (20 μg). A table of the pre-change adult Daily Values is provided at Reference Daily Intake. Food and supplement companies have until July 28, 2018 to comply with the change. Although vitamin D is not present naturally in most foods, it is commonly added as a fortification in manufactured foods, including some fruit juices and fruit juice drinks, meal replacement energy bars, soy protein-based beverages, certain cheese and cheese products, flour products, infant formulas, many breakfast cereals, and milk. In 2016 in the United States, the Food and Drug Administration (FDA) amended food additive regulations for milk fortification, stating that vitamin D3 levels not exceed 42 IU vitamin D per 100 g (400 IU per US quart) of dairy milk, and not exceed 84 IU of vitamin D2 per 100 g (800 IU per quart) of plant milks. While some studies have found that vitamin D3 raises 25(OH)D blood levels faster and remains active in the body longer, others contend that vitamin D2 sources are equally bioavailable and effective as D3 for raising and sustaining 25(OH)D.
Manufactured plant milks – edible beverages made from soy, almond, rice, among other plant sources intended as alternatives to dairy milk – were included in 2016 FDA regulations for fortification with vitamin D2. The regulations stated that vitamin D levels were not to exceed 84 IU per 100 grams in plant milks and 89 IU per 100 g in plant-based yogurts. Mushrooms are a good dietary source of vitamin D2. They contain high concentrations of ergosterol (provitamin D2), and sunlight or ultraviolet radiation triggers its conversion to viosterol (previtamin D2), which then turns into vitamin D2. Low values in mushrooms for vitamin D2 below indicate no or only incidental exposure to sunlight. When fresh mushrooms or dried powders are purposely exposed to artificial sunlight by use of an industrial ultraviolet lamp, vitamin D2 levels can be concentrated to much higher levels. Vitamin D3 (cholecalciferol) is produced industrially by exposing 7-dehydrocholesterol to UVB light, followed by purification. The 7-dehydrocholesterol is a natural substance in fish organs, especially the liver, or in wool grease (lanolin) from sheep. Vitamin D2 (ergocalciferol) is produced in a similar way using ergosterol from yeast or mushrooms as a starting material. Vitamin D content in typical foods is reduced variably by cooking, such as by boiling, frying or baking. Boiled, fried and baked foods retained 69–89% of original vitamin D.
Preliminary studies link low vitamin D levels with disease later in life. Evidence as of 2013 is insufficient to determine whether vitamin D affects the risk of cancer. Starting in 2014, the United States National Institutes of Health and Office of Dietary Supplements established a Vitamin D Initiative to track current research and provide education to consumers. Vitamin D deficiency is widespread in the European population. European research is assessing vitamin D intake levels in association with disease rates and policies of dietary recommendations, food fortification, vitamin D supplementation, and small amounts of sun exposure.